IFERROR Function in Excel (Formula, Examples) | How to Use IFRROR? 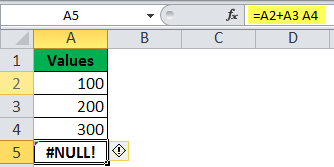 IFERROR function in Excel returns a value which is specified, whenever a formula gives an error. 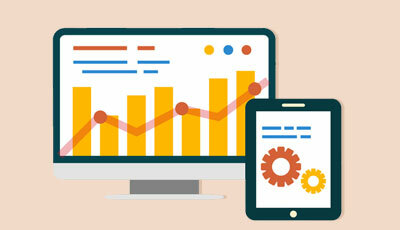 There are situations where a formula often generates an error, in that case, if we want to get a customized output or we want to avoid that error been generated we can use IFERROR function in excel efficiently. If we prefer to get an output something other than the error, we can use the IFERROR function in Excel. 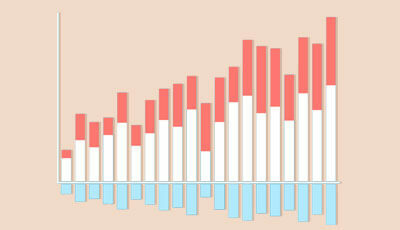 This function was introduced in Excel 2007. IFERROR function in Excel checks for any error condition. It returns a different result if the first argument of the function evaluates to an error. The word IFERROR itself denotes if error occurs executing the statement passed as a second argument, hence the formula of IFERROR takes two arguments. IFERROR function in Excel allows us to fix errors with a customizable output just in case a formula gives us an error. 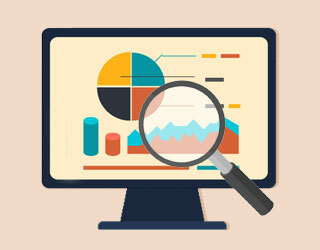 IFERROR in Excel is categorized as a Logical function in Excel. There are several categories under which a formula error could fall, an error could be syntactical, logical, semantic and reference error. #N/A error occurs when a cell referenced by a formula displays #N/A, example when a lookup function like HLOOKUP, LOOKUP, MATCH or VLOOKUP cannot find a match. #DIV/0! occurs for an operation like division by zero. If a formula attempts to divide by zero Excel displays #DIV/0! Error value. #NAME? 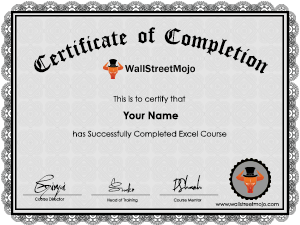 Error occurs if a formula contains an undefined range or cell name or if a formula contains text that Excel interprets as an undefined name. 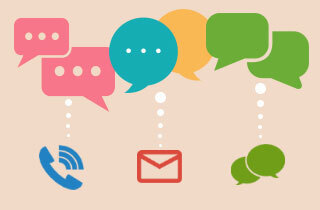 Does a misspelled function name generate a #NAME? error. #NULL! Error occurs when a formula attempts to use the intersection of two ranges that don’t actually intersect. #NUM! Error occurs if you pass a non-numeric argument to a function when a numeric argument is expected and when an invalid argument is passed to a function. #REF! Error occurs when a formula uses an invalid cell reference. #VALUE! 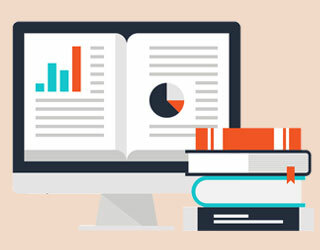 Error is very common and can occur when an argument for a function is of an incorrect data type or the formula attempts to perform an operation using incorrect data. 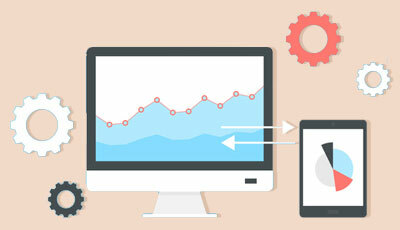 For example, a formula that adds value to a text string returns the #VALUE! Error. How to Use IFERROR in Excel? 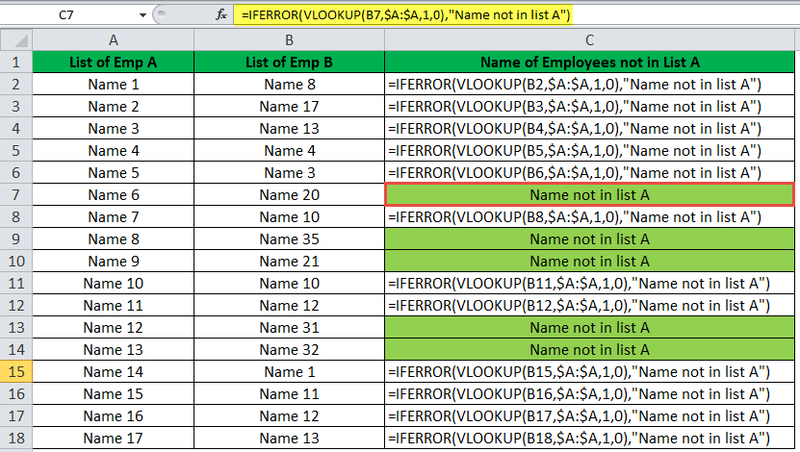 So, in order to handle the above-explained errors, IFERROR function in Excel is often used. 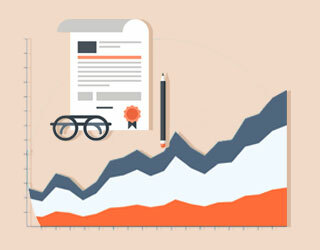 Lets take some IFERROR Excel Function examples to illustrate this in a better manner. 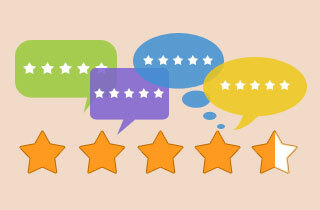 Suppose we have two lists of Employees, in Column A and B, in column B there are some employees that are not in column A and we want to find out the names of those employees that are not in list A. 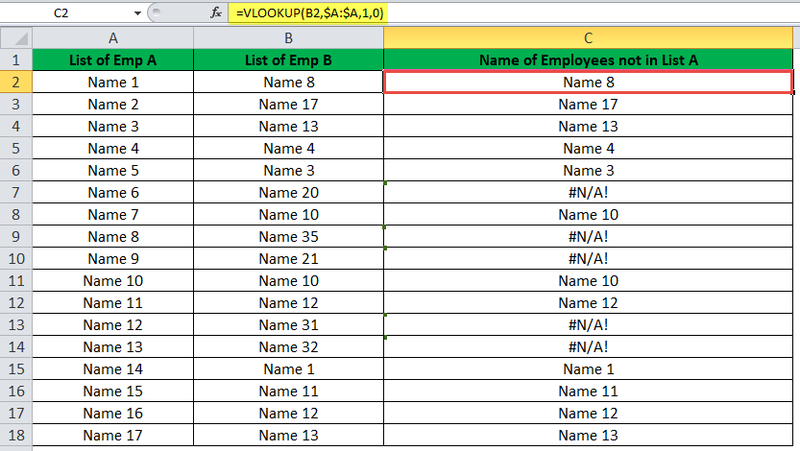 So, we applied the VLOOKUP formula to the right adjacent column of list B, to find out the common names in both list and separate out the names that are not in list A. 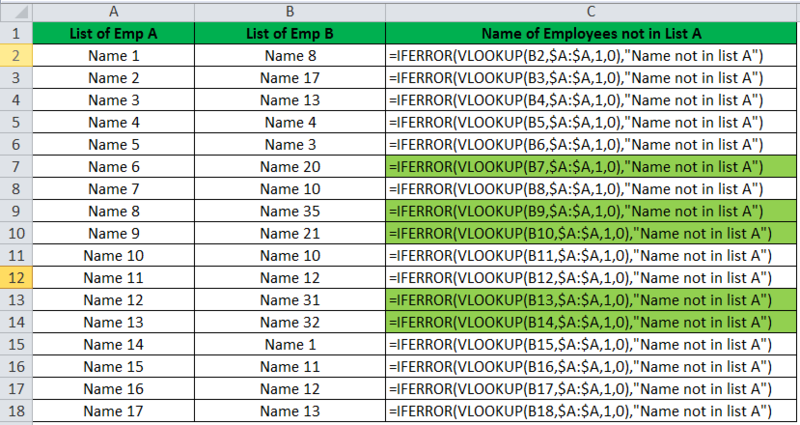 As you can see above, there are some names that were not able to be looked up by the VLOOKUP formula hence they generated #N/A error, which means VLOOKUP was not able to found those names in a list of employee in column A.
Dragging this formula to the last cell, we get the replaced value of #N/A with the value passed. We have amounts in Column A that needs to be distributed equally amongst the number of people given. We get an error #DIV/0! in C4, when the number of people is 0. When we divide a numeric value by zero we get this error. Now, we want to replace this error by a value ‘No of Person < 1’, we will use IFERROR function in Excel. 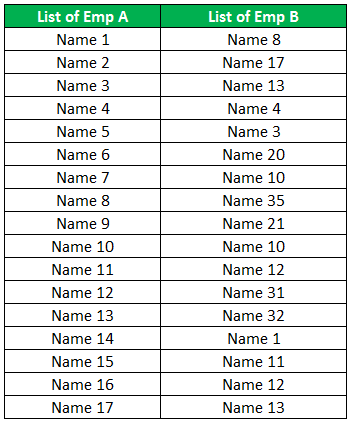 Suppose we have some numbers that need to be added and by mistake if someone writes a wrong formula for sum we get #NAME? error. 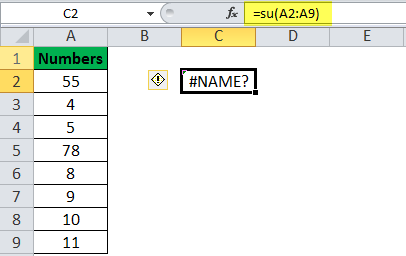 Instead of SUM, if the user writes the wrong formula, #NAME? an error is generated. Using IFERROR excel function, we can handle this error by simply, passing the second argument a value, for example, ‘Typed Wrong Formula’. Suppose, we have 3 values in cell A2, A3, and A4 and we want to sum them. In cell A5, we used the plus operator to add them, A2+A3 A4, and instead of placing ‘+’ operator between A3 and A4, we entered a separator by pressing space, we get #NULL! Error. You can see we have used another formula SUM to calculate the sum of three values given and passed it as a second argument in IFERROR function in Excel. We have some numbers given in Column A and we want to find the square roots of these numbers. 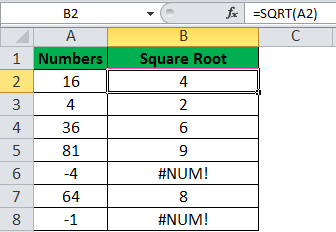 In Excel, we have inbuilt function SQRT to calculate the square root of a number, when we apply this formula to get the square root of the numbers. We get error #NUM! for negative values, since we cannot find the square root of a negative number. So, excel throws #NUM! error when SQRT function is applied to a negative number. Using IFERROR excel function we can pass a value ‘A Negative Number’ for negative values, to avoid this error. Suppose, we have two numbers in cell A2 and A3 and we want to divide the value of cell A by value cell B. 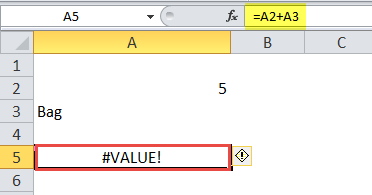 Since the reference was deleted Excel is unable to find the reference value in the formula, hence throws #REF! error. Using the IFERROR excel function, we can pass a value_if_error, ‘Reference Deleted’. A2 contains a numeric value whereas A3 contains a text value. When we add these two value we get a #VALUE! Error. 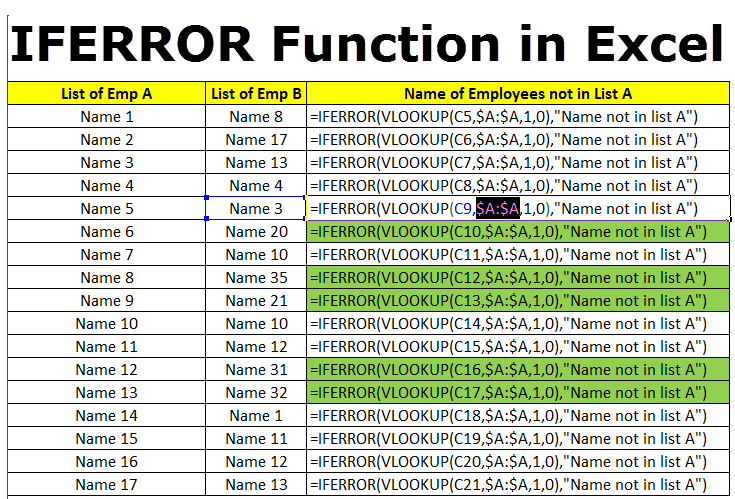 So, we can see IFERROR function in Excel could be very useful in handling the errors in excel and customizing the output when an error occurs as per need or requirement. How to use VLookup in Excel VBA? 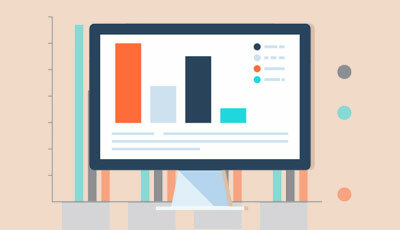 How to Display or hide Fill Handle in Excel? How to use ISERROR Function?